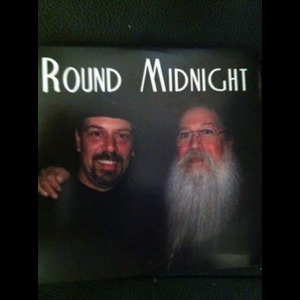 Round Midnight is a unique act consisting of Guitar, Saxophone and vocals. Joe Kirkpatrick on Guitar and vocals has been playing and singing around the Houston area for 30 years, in Country Bands, Bluegrass Bands, Blues Bands, and western Swing Bands.As a second generation Guitar player he grew up listening to standards. Ron Aprea Jr. also another second generation Saxophone player, spent his youth studying and started his professional career at the young age of 14. For the next 30 years, Ron performed from the Catskill Mountains to the Manhattan music scene (studio sessions, corporate events, and television appearances). 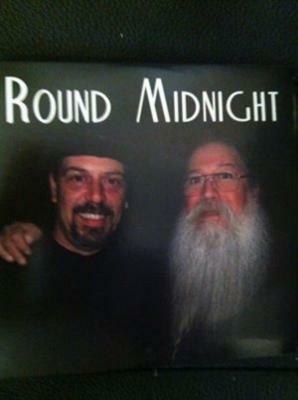 In 2005 Ron moved to Ft. Bend County, Texas where he met Joe and they soon discovered they had a lot of common ground in their parents music. Because of this common ground, Round Midnight offers the perfect combination of Jazz, Swing, and Blues, that is sure to turn every event into a memorable night. Please note Round Midnight will also travel to Rosenberg, Sugar Land, Houston, Fulshear, Katy, Stafford, Thompsons, Alief, Missouri City, Beasley, Orchard, Needville, Simonton, Fresno, Barker, Kendleton, Brookshire, Bellaire, Guy, Wallis, East Bernard, Pattison, Rosharon, Damon, Cypress, Hungerford, Boling, Manvel, San Felipe, Pearland.